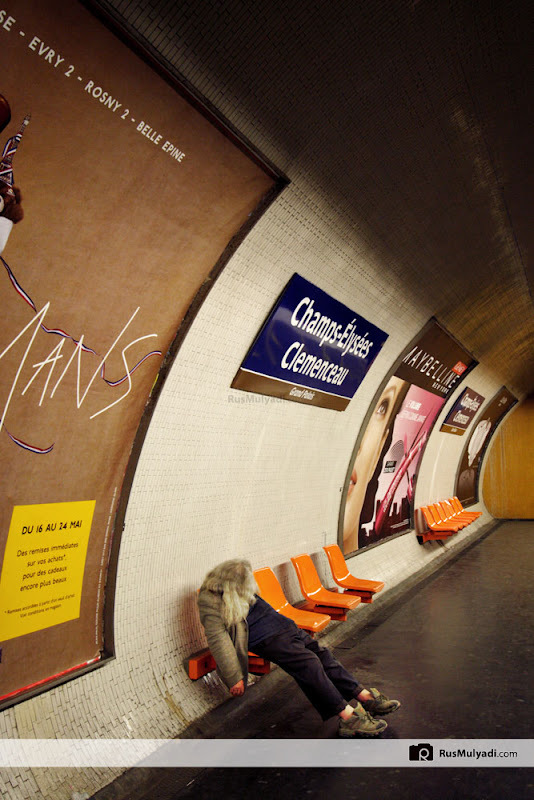 Champs-Élysées - Clemenceau is a station on lines 1 and 13 of the Paris Métro in the 8th arrondissement. The stations platforms and access tunnels lie beneath Avenue des Champs-Élysées and Place Clemenceau. It is one of the eight original stations opened as part of the first section of line 1 between Porte de Vincennes and Porte Maillot on 19 July 1900. The line 13 platforms were opened on 18 February 1975 as part of the line's extension from Miromesnil. It was the southern terminus of the line until its extension under the Seine to connect with old line 14, which was then incorporated into line 13 on 9 November 1976.